“I cannot tell a Jew that he is not allowed to purchase a home in Jerusalem,” Prime Minister Binyamin Netanyahu told reporters on Wednesday night, hours after his meeting at the White House with U.S. President Barack Obama. Netanyahu briefed the reporters on his meeting with Obama, which Israeli officials described earlier as good. The statement about Jews purchasing a home in Jerusalem was a reference to Washington’s criticism earlier of Israel’s approval of construction in the Jerusalem neighborhood of Givat Hamatos. “As Prime Minister of Israel, I do not understand the criticism – Arabs in Jerusalem buy apartments and no one bothers them or rules them out. By the same token, I’m not going to say to Jews not to buy in Jerusalem, including in Silwan – we cannot have discrimination – this approach is unacceptable to me,” he declared. 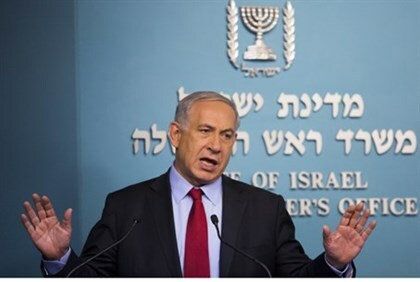 “It is the right of Jews to buy an apartment in Jerusalem – I stand firm by my decision, there will not be a situation where Jews will not be able to buy an apartment in Jerusalem,” the prime minister reiterated. Netanyahu confirmed to Arutz Sheva that he raised the issue of Jonathan Pollard’s release in the meeting with the President. “I told Obama that on the eve of Yom Kippur, a day on which there is forgiveness, the U.S. must free Jonathan Pollard.” Netanyahu did not specify about Obama’s response to his request.